In the last two years we have almost doubled in size with the addition of our Oakville & Aurora stores. Our staff is growing and we thought that this would be a perfect way our readers and customers to get to know each and every team member here at The Millionaire’s Daughter. There are many more profiles coming up and I am excited for you all to get to know the team. Let’s start it off with a little Q&A with Kari, from the Hamilton store! Kari has worked for The Millionaire’s Daughter for almost two years now. 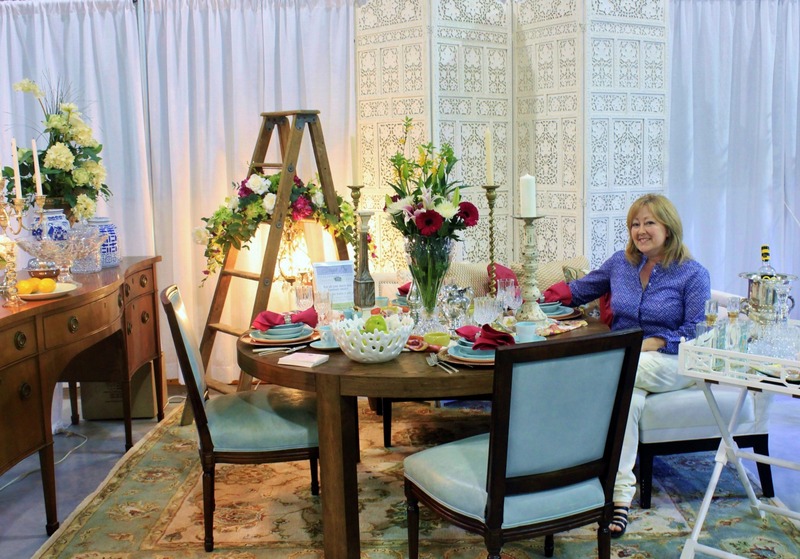 With her energetic personality and background in interior design Kari will be the first to answer all of your design inquires you may have, while browsing the Hamilton store on Ottawa Street N. When Kari isn’t staging the Hamilton store she’s spearheading various staging projects, such as the Stinson School House Lofts, the Wedding Show booth, and the TableTops event for the May Court Club of Oakville! 1. What do you love about your job at The Millionaire’s Daughter? Kari: I love working with Maureen when she is in the store ….she is a natural at marketing her business, and she has a great sense of humour! I also love seeing all of the great furniture and decorative items that come into the store(s) on a daily basis. 2. What has been your best buy from The Millionaire’s Daughter? Kari: My best buy from the Hamilton store has been a set of Waterford crystal tumblers that are in pristine condition! Kari: I draw inspiration mainly from the function how my family uses a room, and then I choose the appropriate sized furniture piece, and the plan goes from there, and I always like to mix up styles in a room for an eclectic look. Kari: A lazy Sunday for me is spending time at home with my husband and daughter! Kari: My favourite room to decorate is the living room ….where there is lots of opportunity for change on a regular basis! 6. What do you think is the easiest way to update a room? 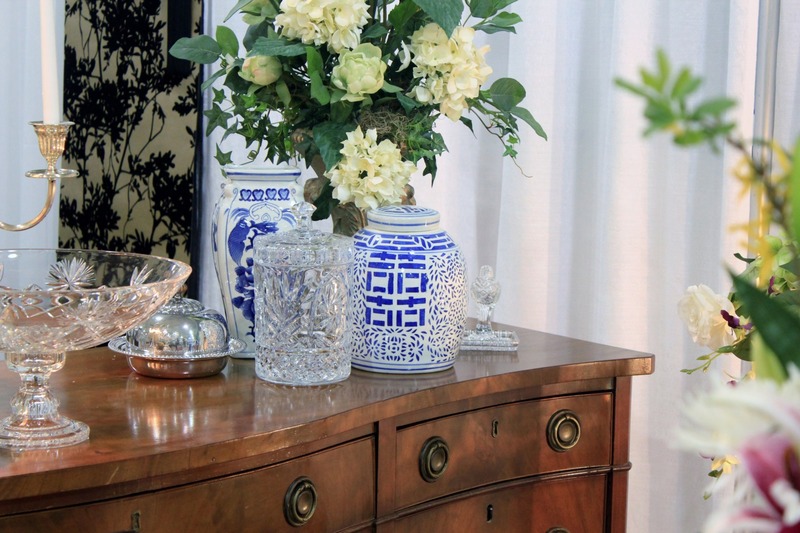 Kari: The easiest way to update a room is to change the colour and pattern and history (ie-modern or traditional) scheme with simple changes to pillows, artwork, or the texture of decorative items (for example – change crystal to something organic like metal or wood finish). 7. Style: Are you born with it or do you learn it? Kari: ….born with it or learn it? ….I think both. I think you have to have an interest in it in the first place, and therefore you are willing to learn on a regular basis, either from formal training or from example. There are lots of examples of style out there today, as interior decoration is such a hot topic with lots of retailers and tv shows lately. I love to see other designers’ work (such as Vincente Wolf …..a favourite of mine!) and use ideas from projects he has done. 8. What is your favourite colour combination? Kari: favourite colour combo? ….mine is white with any other colour! 9. What do you collect? Or have way too many of! Kari: I collect glassware (I am always interested in seeing unique glasses i.e-wine glasses, etc.) and decorative glassware like vintage vases and candlesticks, etc., and I also love to collect fabric, as I am a sewer, and love to change pillow covers on a regular basis! 10. If I gave you a millionaire dollars, what is the first thing you’d buy from The Millionaire’s Daughter? Kari: If I had a million dollars to spend at The Millionaire’s Daughter, I would choose a piece of furniture that is worth a lot (both historically and monetarily) …..like a beautiful Gibbard side board, and a choice of great area rugs we get in the store on a regular basis, and a beautiful fine bone china set for entertaining, and a large unique beautiful wall unit, so I could display books and decorative items in my home!